Dartmouth-Hitchcock’s Neuropsychology Program seeks an Adult Neuropsychologist! The Department of Psychiatry at Dartmouth-Hitchcock is seeking a full-time adult Neuropsychologist with strong clinical, research and teaching interests. Our team is currently comprised of 3 adult neuropsychologists and 1 pediatric neuropsychologist. 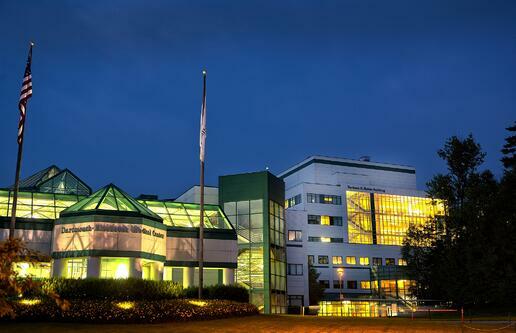 Our staff provides neuropsychological services to a wide variety of primarily outpatient medical, neurological, and psychiatric populations at Dartmouth-Hitchcock Medical Center (DHMC), the largest academic medical center in northern New England. We also provide services to psychiatric inpatients at New Hampshire Hospital, our affiliated state psychiatric facility. Responsibilities and opportunities include coordination and provision of neuropsychological evaluation services, participation in multidisciplinary treatment teams (e.g., Healthy Aging and Brain Clinic; Interdisciplinary Developmental Disabilities Consult Team), supervision of pre- and post-doctoral trainees, and participation in the overall academic mission of our program. Academic appointment level at the Geisel School of Medicine at Dartmouth will be determined based on the individual’s qualifications and experience. Preference will be given to candidates with a strong record of research and publications, as well as commitment to collaborative research and the development of programmatic funded research. Neuropsychology faculty has research collaborations with faculty from a variety of departments at Dartmouth such as psychiatry, neurology, neurosurgery, oncology, and engineering, as well as the local VA. A range of resources for research are available including the Brain Research Network and Brain Imaging Laboratory (headed by neuropsychology) which provide resources, training, and collaboration for cognitive, brain imaging, and other studies. Candidates must meet the following requirements: (1) PhD or PsyD from an APA- or CPA- approved program; (2) a minimum of two full years of specialty postdoctoral training in clinical neuropsychology; (3) ABPP certified in clinical neuropsychology or eligible and committed to pursuing board certification; (4) eligible for licensure in New Hampshire. Completion of a doctoral degree (PhD or PsyD) in clinical or counseling psychology from an APA- or CPA-accredited program. Completion of a predoctoral internship from an APA- or CPA-accredited internship program. Completion of a postdoctoral fellowship from an APPIC accredited program. Licensed or license-eligible as a psychologist in the state of NH. DHMC is headquartered in Lebanon, NH on a 225-acre campus in the heart of the Upper Connecticut River Valley. DHMC consists of several facilities: Mary Hitchcock Memorial Hospital (MHMH), which has a 396-inpatient bed capacity and serves as a major tertiary-care referral site for northern New England; the Dartmouth-Hitchcock Clinic, a network of more than 900 primary and specialty care clinicians located throughout New Hampshire and Vermont; the Veterans Affairs Regional Medical Center in White River Junction, Vermont; and the Geisel School of Medicine at Dartmouth.